Steaks don’t come much larger than these wagyu porterhouses. 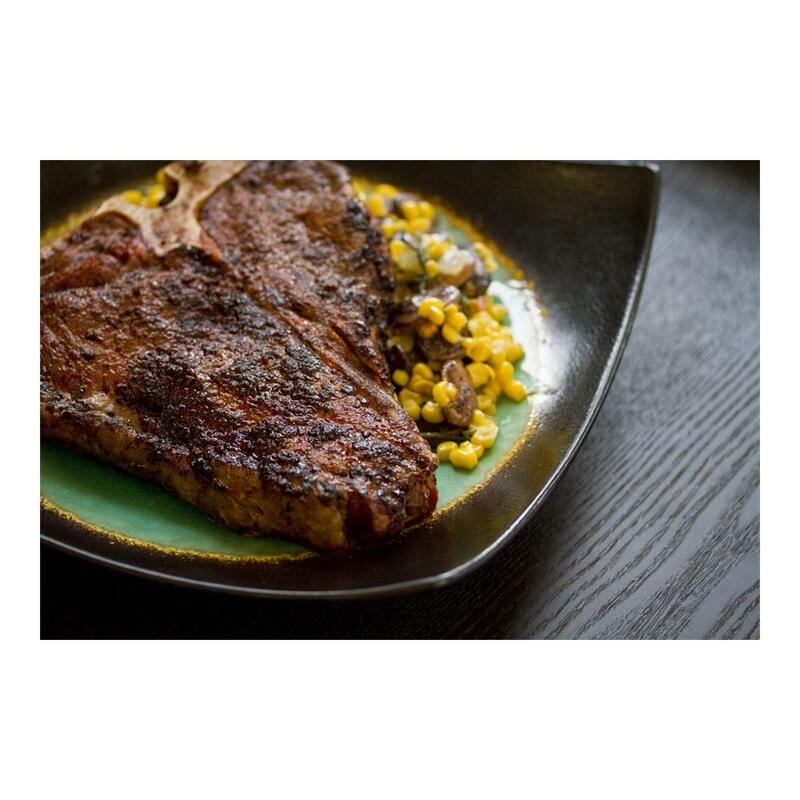 Essentially a much larger version of the T-bone steak, porterhouse combine large portions of both the flavorful strip loin and the tremendously tender tenderloin separated by a central bone. These Kobe porterhouse steaks are indisputably huge, weighing an average of 24oz (1 1/2 pounds!) each. Much larger than that and people might start calling them roasts! Wagyu beef (commonly known as "Kobe beef" aka Australian Kobe beef or Kobe-style beef) is from a breed of cattle specially raised to increase its percentage of fat marbling to consistently high levels. More marbling leads to more flavor, tenderness, and moisture as the fat melts during the cooking process. Thus, wagyu porterhouse steaks are both more flavorful and more tender than those cut from conventional beef. Keep your Kobe porterhouse steaks frozen until you are ready to cook them. 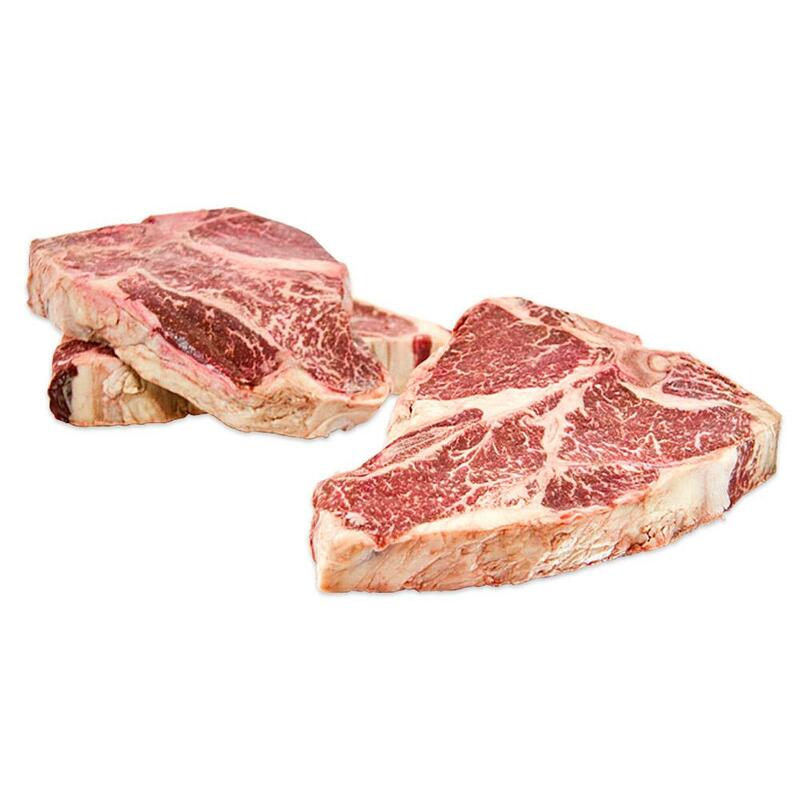 Cook wagyu porterhouse steaks as you would conventional beef porterhouses. Many Kobe beef aficionados believe that the best way to prepare wagyu steaks is to quickly sear them on a grill or hot preheated cast-iron skillet until a crust develops on the outside, leaving the center soft and barely cooked.